There are many things to know about buying a condo. One of them is that you are buying into a community-style of living. After all, your apartment and the next one is separated by walls. You learn to share public amenities with other people. You own just the space that is within your walls. Other facilities such as staircases, recreational courts, swimming pool and many more are shared. Living in a condo gives you an opportunity to affordably enjoy some of the things that would cost you much more if you were to live in a regular, detached home. When you buy a condo, just know that you are buying into a community. Thus, as you sign that contract to buy the condo, know that you are signing an agreement to abide with the community rules, to live in peace with all the people living there. It is paramount to ask how the condo is managed. Ask questions about the HOA fees, about the regulations and anything else. You should also know the financial health of the association. If it does not have any money, they could raise the HOA fees soon, or there could be issues when there is need for exterior repairs. It will be hard for the association to give their yearly budget to a potential buyer. However, you can ask the person who is selling you the condo to ask for the budget and bring it to you. Condo owners pay a monthly fee to the association for the shared amenities and for repairs. Thus, if the condo you want to buy is old and worn down, the fees may be higher. That is why you should see the budget. Treat condo buying with the seriousness that it deserves. Get professional assistance and it will make things easier for you. Your real estate agent can really help you cut through the muck and buy a condo faster. At the same time, the real estate agent will also advise you appropriately. He or she knows all the condos on sale in different areas. Thus, he/she might even advise you to forget the new condos and take an older one that is in good condition to save money. If you are from Los Angeles, you can check out condo sale Los Angeles. Buying a new home means knowing everything about home ownership. Condo life is not for everyone. For example, if you are not a very social person, you may not enjoy living in a condo. You have to share recreational spaces with your neighbors. However, if you are a senior and you want to live in a home where the exterior, grounds and other things are taken care of by others, condo life is ideal for you. Although you will have to buy private insurance for your condo, it is still cheaper than what a detached home would get. There is also homeowners insurance that is paid by the community. It covers the condos against theft, fire, flooding and other risks. Public areas have insurance policy that all condo owners pay through the HOA fees. When the association does not have enough funds in reserve, condo owners may be charged special assessment fees in future should major repairs arise. This is why we said you have to see the association’s budget. If the condo is older, it is likely to have less money in the reserve fund and therefore they are bound to need to impose a special assessment fee in future. When the condo building has many owners who are behind on their dues, it might be hard to get financing. Banks and mortgage providers consider many things when giving financing for homes, and the delinquency rate is one of them. It would be best to buy into a condo building which has a delinquency rate is lower than 15%. In addition, if the delinquency rate is high, it means the recreational facilities may suffer in future. Buying a condo can have so many advantages but it comes with its own set of disadvantages. Knowing the above mentioned things should help you make a better and well-informed decision. 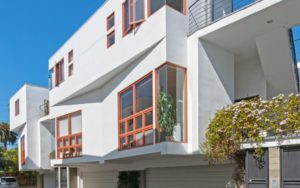 If you are from Santa Monica California, you can visit condo for sale Santa Monica to find some of the best condos available in the city.